Online survey sites offer you the chance to earn rewards for answering surveys and giving feedback. The rewards you can get vary from site to site. Examples of rewards are products, cash, vouchers, credits for different services, etc. One of the popular rewards that sites also often offer is Amazon gift cards, as you can use it to buy products on Amazon, and it is therefore as good as cash. It is however not all sites that offer this option, and some sites that offer it are not very good. Below, I have therefore put together a list of the 25 best sites to take surveys for Amazon gift cards, so you can easily find the legit and real sites to join if this is your preferred way of earning when doing online surveys. Some of the sites will even show you several ways to earn. Disclosure: Some articles this website contain affiliate/sponsored links. Click for more info. Most people by now know Amazon. It is one of the biggest online shopping portals in the world, and you can get more or less anything you can think of here, and it is available in many countries all over the world. Therefore, gift cards are for Amazon are very useful. Earning gift cards for Amazon is as good as earning cash, as you can definitely find the products you need on Amazon. Another reason that it is a popular reward on survey sites is that it is quick to get the reward. In most cases, when you request getting your reward as a gift card on a survey site, you will get it electronically. That is why you at some sites will see it is called Amazon e-certificates, but it is often just called gift card. When sites offer you to get the gift card electronically, it means that you will receive it very fast, and then you can start using your earnings right away. So it is a fast way to get your rewards and allows you to get more or less any product you can think of. If you instead prefer getting rewards from surveys paid out as cash, you can instead take a look at the survey sites that offer payment through PayPal. Be aware that some survey sites offer gift cards only for Amazon.com, while others offer to specific countries like Amazon UK, CA, etc. It all depends on the specific survey site. Just so you make sure to join the sites that offer gift cards for the Amazon portal you prefer. How to earn the most? To earn the most so you can get as many Amazon gift cards as possible, it is good to know that several sites on the list below offer many ways to earn in addition to taking paid surveys. These sites are called get-paid-to sites (GPT). It can be a good idea to use some of these other earning methods in addition to taking surveys, as it can really boost your earnings. Also, to get the most opportunities, it is a good idea to sign up for several sites. This way you will get more opportunities, and you will also get to test different sites to find out which ones fit you the best and gives the best opportunities for your country. If you have not taken surveys or joined GPT sites before, 5-7 sites is a good amount, and then you can always join more later. 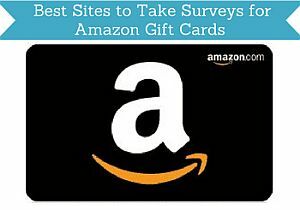 The sites below are not the only sites where you can answer online surveys for Amazon gift cards. It is, however, the sites that I have found to be the best after testing many survey sites. I am continuously testing new sites and will update the list, as I find new sites that deserve to be on the list. So make sure to bookmark this page and come back and check for new opportunities once in a while. Swagbucks is one of the biggest and most popular survey sites in the world and has more than 20 million users. It is popular because it gives many daily opportunities to earn rewards. You can not only through paid surveys, but you can also earn in a number of other ways. For example by getting cash back when doing online shopping, which can give you some really nice rewards and savings, if you like to shop online anyways. It also offers you to earn by watching videos, playing games, inviting friends, by searching the web, and it regularly runs free contests or give out promo codes for free cash. It also gives a very high joining bonus of $5, if you join through an invitation link (you can find a link like this below). Further, it offers some great other rewards in case you at some point want something else than Amazon gift cards. The only downside of Swagbucks is that it is not available worldwide. You have to live in United States, Canada, United Kingdom, Ireland, Australia, Germany, Spain, or France to join. If you live in one of these countries, Swagbucks is a great site to join and a great way to earn free Amazon gift cards. But if not, you will have to stick to some of the other sites below. PrizeRebel is another site that can definitely be worth joining, if you would like to earn some Amazon gift cards, but you can also get other rewards like cash paid out through PayPal or other gift cards. You can earn through a number of different activities. Of course by doing surveys, but also by taking different online offers, doing small online tasks, playing games, or participate in one of the many contests and raffles. Usually PrizeRebel also gives out promo codes several times a week that will give you free points. A great thing about PrizeRebel is that you can sign up from most countries. That you can sign up does however not mean that you will necessarily get a lot of opportunities. Most opportunities are for the English-speaking countries, but many other countries will also have great opportunities. I myself do not live in an officially English-speaking country, and I still have a good amount of opportunities. Toluna influencers has panels for many countries. It has a good amount of surveys in most of these countries, it is easy to qualify for the surveys, and the platform is in general easy to use. The platform and the surveys are in your own local language. Toluna offers many payout methods. The methods can differ from country to country, so it will not be in all countries you can find Amazon gift cards as an option, so you have to check on the platform for your specific country through the link below to be sure. In the countries where Amazon e-certificates are an option, they will be for Amazon for your specific country, which is great. FeaturePoints is a GPT site that is available worldwide and that is very user-friendly. You can not only earn Amazon gift cards as a reward there but also get paid through PayPal, Bitcoin, and other gift cards. Just be aware that Amazon is only available as a reward in some countries and not worldwide. You can earn by taking surveys, watching videos, taking offers, downloading apps, and in the US and Canada, you can also get cashback for shopping online. You can request a reward once you have earned $3 so it has a nice low payout threshold. Opinion Outpost is a very simple and easy to use survey site. Once you join, you just simply wait for the survey invitations. In addition to taking paid surveys, you will also automatically participate in their quarterly prize cash draw where you can win good rewards if you are lucky. If you want Amazon gift cards this is particularly a good platform because the payout threshold is then only $5. For PayPal it is around $10. LifePoints Panel used to be an app but was recently launched a new survey site. It is a merger of the two sites GlobalTestMarket and MySurvey that do no longer exist. It is very easy to use. Once you have signed up, you just wait to receive survey invitations via email. It gives a decent amount of surveys and the rewards are also decent. It is, however, not in all countries you can earn Amazon gift cards. But if you live in a country where this is not available, you can get paid through PayPal or other gift cards. The payout threshold is $15. YouGov has specific survey panel in many countries in the local language and with specific surveys just for that country. This makes the surveys relevant and interesting to participate in and on the website, you can also see the results of the surveys they conduct, which can be interesting. The rewards YouGov offers depends a lot on the country you live in. In general you earn points when participating and these can be exchanged to rewards depending on your country. In some countries Amazon gift cards for that particular country is available, but no matter where you live, you will usually have several payout methods to choose from. Superpay.me has many daily opportunities to do surveys and also offers you to earn by watching videos, taking online offers, clicking ads, and more. By earning on the site, you will also automatically participate in the quarterly contest where the Top 20 earners will get a reward – the top earner will get $350, which is a really generous reward. In general, it has some great rewards you can choose from (including Amazon gift cards). You can get an Amazon e-gift card, when you have earned $5, and you can then use it to shop on Amazon right away. It is available for you no matter the country you live in, which is great. But it varies a lot how many opportunities that are available in the different countries. Superpay.me is not as easy to navigate and use as many other sites. In the beginning it can take a little time to figure out exactly how it works. So if you decide to join, just be prepared to spend a little time learning how to use the platform, and then it can have great opportunities. InboxDollars is a get-paid-to site just for the US. You can earn in several ways on the site. In addition to earning by taking surveys, you can take online offers, read emails, play games, shop online, and more. So it has a big amount of opportunities to earn. Just be aware that it can take a little time to get to the payout threshold, as you have to earn $30 before you can get paid. You can then choose to get paid by Amazon gift card, other gift cards, prepaid Visa, or by check. InboxPounds is more or less the same as InboxDollars – it is just for the UK. You can earn by taking surveys, reading emails, searching online, and by taking paid offers. It has a good amount of opportunities but can take a bit of patience. The reason it can take some patience is that you cannot get a payout until you have earned £20. In addition to getting your earnings as an Amazon gift card, you can also choose a prepaid Mastercard or other gift cards. EarningStation is only available to join if you live in the US. It is fairly easy to use, and it has a decent amount of opportunities. In addition, to taking surveys, you can get paid to watch videos, read emails, take online offers, and more. You can get paid for your efforts by getting gift cards for Amazon.com, get paid in cash through PayPal, virtual Visa, or choose between many other gift cards. Rewards1 is kind of an unknow GPT site but it actually has quite a lot of opportunities to earn and the rewards are decent in relation to the time spent. If you want to take surveys for Amazon vouchers it has some good options as it does not take you to long to earn the $5 you are required to get your first gift card. In addition to taking surveys, you can also earn by watching videos, inviting friends, daily polls, taking paid offers, playing games, and more. At first, it can be a bit confusing to use but with a little patience it has many opportunities. Opinion Bureau is an easy-to-use survey site, but it does, however, not offer a huge amount of surveys. Because it is so easy to use and has an app that makes it easy to earn on the go, it can, however, still be worth joining as an extra site. So it can be a way to earn Amazon gift cards and you can get a gift card when you have earned just $5. You can also choose to get paid through PayPal or other gift cards depending on the country you live in. Surveytime is actually a really nice survey site as you get paid $1 for every survey and you cash out immediately after completing a survey. The reason it is not higher on this list is that if you are mainly interested in taking surveys for Amazon gift cards it only offers this in select countries. In all other countries, you can only get paid through PayPal. Just be aware that when you first join, you have to take a profile survey during the sign-up process to get access to the available surveys. Available in: Worldwide, but most opportunities in Latin America, Spain, US, and UK. Gift Hunter Club offers a decent amount of opportunities to earn for Amazon gift cards or one of the other rewards available. You can earn by taking surveys, online offers, watching videos, online tasks, share on social media, by inviting friends, and contests. It is one of the few platforms that specifically has a lot of opportunities for Spanish-speaking countries. Many other countries will, however, have opportunities as well. The platform is very easy to use and very user-friendly. InstaGC is a site you can join no matter where you live. The amount of opportunities will, however, vary depending on the country you live in. It has the most opportunities for English-speaking countries. You can earn by taking surveys, do Figure Eight tasks, download apps, bet on sports results, and more. It, in general, has a good amount of opportunities, and it is fairly easy to use. One of the best things about InstaGC is that you can get paid already when you have earned $1. Be aware that Amazon gift cards are not available as a reward in all countries, but in the countries where it is available, it will be for Amazon in your country. It also offers PayPal, other gift cards, or Bitcoin as a payout method. Surveyeah is a bit of an outsider on this list. Not because it is not a good site but because it does not have very many surveys. So even though the payout threshold to get an Amazon gift card is only around $10, it can take some patience as you will only get a few monthly surveys. But it is super easy as you just wait for the survey invitation via email and it is available in around 60 countries so it can be a great extra site to join. You can also choose to get your earnings out through PayPal. Smart Panel is a bit different from most other sites on this list. It is actually a site where you can earn passively just by installing their app and give feedback about your internet usage like this. You earn $5 every month just for this without doing anything else and at times you can also take surveys to earn additional cash. There is also great prize draws and loyalty bonuses. So it can be an easy way to earn Amazon gift cards. Just be aware that they do not accept all members. You have to apply and maybe you will not be accepted depending on your demographic group. GrabPoints is a GPT site with many ways to earn and decent rewards. You can take surveys, watch videos, take offers, and more. In relation to earning Amazon gift cards there, you just have to be aware that it is not available in all countries. On the website itself it shows it offers Amazon gift vouchers, but I cannot see that as a payout inside the platform. From this, it would seem that it is only in selected countries or only sometimes they offer this reward. The payout threshold in general on GrabPoints starts at $3. Harris Poll is only available in a few countries. If you live in the US or Canada, it can be a panel worth considering. It is easy to use and has a decent amount of available surveys. It can sometimes take a bit of patience to find the surveys you qualify for, so just be aware of this. In addition to offering Amazon gift cards as a reward for taking surveys, you can also choose to get paid through several other gift cards, if you prefer this instead. CashKarma is only available as an app. But if you would like to get free Amazon gift cards by using an app, this can be a good option. You can earn by taking surveys, watch videos, loyalty bonuses, take offers, and more. Some of the options do not have the highest rewards but it is easy to use and great to use on the go. The payout threshold for Amazon gift cards is $5 but if you want to get paid through PayPal it is $10. MobileXpression is a bit different from the other sites on this list. It is not a survey panel, where you actively have to take surveys. It is an app you download, and just by having it installed, you will help with research info about how the internet is used, and this can help improve online services. You will of course remain anonymous. The great thing about MobileXpression is that you can earn gift cards just by having an app installed. After being a member for just a week, you will get enough points to get a $5 Amazon gift card. In addition to earning for gift cards, you will also every month automatically take part in great prize draws, and for every 90 day you are a member, MobileXpression will help the environment by planting a tree in your honor. It is only available in select countries and for select devices. This changes regularly, but at the moment of writing this, it is actively recruiting in the UK, US, Canada, and Norway. You can check the availability through the link below (has to be from mobile device) – here you will also be able to see if they recruit for your specific device at the moment. Cinchbucks is another GPT site that offers several ways to earn. In my honest opinion, most of the other GPT sites on this list are, however, better. But as it is legit and can be a good option for some, it is still on the list. You can take surveys, watch videos, get cashback when shopping, play games, and more. The payout threshold is $10 and in addition to getting paid with Amazon gift cards, you can get paid through PayPal, Bitcoin, or choose between several other gift cards as well. Triaba has a survey panel in 47 countries. In each of these countries it has a panel in the local language. You can see the exact countries through the link to the full review above. It is very simple survey site to use, as it does not have any distractions. It does however also not have a huge amount of surveys available, so you should also join other sites. The exact rewards you can get can differ from country to country, but in almost all countries you can get paid though PayPal, and in some countries, you can also choose Amazon gift cards or other gift cards as a reward. Points2Shop has quite a lot of opportunities to earn. It is however very confusing to use when you first start using it. It has taken me quite a bit of time to figure out how to navigate on the site. It is of course just a matter of habit, but if you join, you have to be patient and take your time to click around to find out how it works. There are a good amount of surveys, and you can also earn by taking offers, playing games, inviting friends, downloading their app and more. Points2Shop has a unique feature compared to other survey sites, as you can not only get Amazon gift cards for your earnings, but you can also buy any Amazon product directly with your earnings. This is however only possible for people living in the US, Canada, and the UK, so it has some limitations if you do not live in one of these countries. The platform is available worldwide, but as with any other platform that offers this, the amount of opportunities will vary from country to country. Hope you have found this list useful, and now know how to get started with the best platforms, if you are interested in earning rewards that you can exchange for Amazon gift cards by taking online surveys and doing other small online tasks. As mentioned in the beginning, this is not a complete list of all the survey sites that offer this option, but the ones I have found to be the best if you are specifically interested in earning for Amazon gift cards. Leave a comment below, if you think a site is missing on the list, or if you have any questions or comments. Woh, after around the (internet)world, have to thank you first!! It’s the first day I am here and almost changed my all concepts of the things.Thanks! I am an active worker on Mturk, almost 99 % grading ,but thought there is nothing in this online world that can be trusted to make some money.But the reviews of survey sites here changed that altogether. It’s often seen that the reviews are ,more or less,biased to or against.It’s for the first review I have come across which gives a true,honest opinion! Thank you very much. I appreciate the feedback and very glad to hear you find the info useful and honest – that is what I am aiming for. This is a great post. I’ve always wondered about sites that pay for surveys and how legit they are. You’ve answered my question and I think I’m going to give a few of them a try. I love shopping on Amazon so the gift cards are great and I use PayPal as well so I think this will be a great relationship. Thanks for your feedback Karen. Glad you found the info useful. 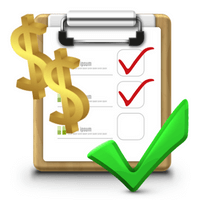 There are definitely many legit survey sites worth joining to make a bit of extra money. Just stay away from any survey site that is trying to charge you a fee for joining, as there unfortunately also are some sites that are not legit. Surveys are a great way to earn money in your spare time. And I’m glad that there are quite a few options available, even for smaller countries. Overall a great post. Thanks! Amazon is the best place to shop, sell and affiliate. Amazon gift cards are wonderful and come in handy. Thanks for providing this information. I didn’t know that it was possible to earn useful rewards like this and also possible to earn cash from doing surveys. I thought it was mostly just products you can get. Thanks for your feedback Linda. I am glad you found the info useful.